We are a ‘GOOD’ School. 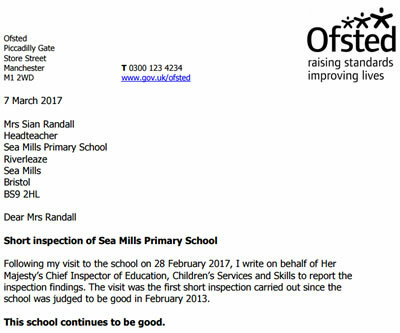 Below you can follow a link to read our most recent Ofsted report dated February 2017. 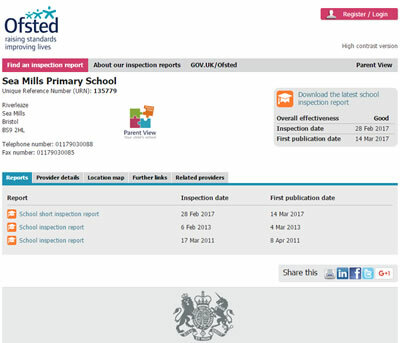 There you can also access our data dashboard as well as make comments through Parent View. Teachers ensure that pupils are provided with learning opportunities which challenge them and make them think deeply. This is clearly evidenced in the 2016 published information for key stage 2 pupils. The proportion of pupils achieving greater depth in reading, writing and mathematics was well above the national average and current school projections show pupils are on track to continue this strong achievement. School leaders, including governors, consider the safeguarding of pupils to be of the utmost importance. They ensure that all safeguarding arrangements adhere to statutory requirements and are fit for purpose. Leaders carefully track the learning and progress of pupils through a range of monitoring activities which include observing learning, talking to pupils about their learning and viewing work. Leaders provide a range of opportunities to enable parents to get involved with their child’s education. For example, parents of pupils in key stage 1 spend time each morning in the classroom with their child completing activities such as sharing a book. All staff are well trained in all aspects of safeguarding, including child sexual exploitation, female genital mutilation, radicalisation and extremism. Pupils explain with confidence how they can approach any member of staff to share whatever worries or concerns they may have. They feel safe and crucially have a secure understanding of the importance of keeping safe. Governors are also fully aware of what needs to improve. They are becoming skilled at asking those searching questions to check that the actions you are taking are having the necessary impact on pupil progress.